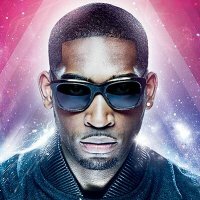 Don't pass out - Tinie Tempah's playing big UK arena dates in autumn 2011! He's come a long way since his formative years living in Plumstead. In fact you could say young Patrick Okogwu has been on a voyage of 'Disc-Overy' [ouch! - Ed], certainly since playing his first tour just 12 short months ago. Numerous big hits including "Pass Out", "Written in the Stars" and "Frisky", plus the aforementioned (and badly punned) debut album, have helped rocket Tinie Tempah to the forefront of British music. He won a pair of BRITs last month for best breakthrough act and single, plus his last tour pretty much sold out in the same time it takes to give an acceptance speech. So, for his next tour, due to start in October/November, you might want to practise your mouse-wielding skills to get in fast for those tickets! There's a new album on the way as well (date tbc), so much of it will form part of the set-list. Just seven nights have been confirmed for his arena tour, starting with Liverpool on 31st October and continuing to Newcastle (1st Nov), the O2 in London (4th), Bournemouth (5th), Birmingham (6th), Manchester (7th) and finally (so far) Cardiff on the 8th. Tickets are priced from £21.50 which, to be fair, isn't too bad for a stadium gig these days - this means the surge of demand will be pretty huge! On-sale time is 9am this coming Friday - expect to exercise some patience as ticketing servers struggle!